We're heading into the second week of Double-Fassbender at the box office. Some of you have only seen one film, while some of you have seen both, and the rest are poor suckas who haven't seen either one yet. But don't fret dears, these fine Fassy films will be coming your way in due time! According to our polls, Fassinators love both 12 Years a Slave and The Counselor. In regards to the latter, please ignore negative reviews and judge for yourself, at the least, just go and support Michael, you won't be disappointed. With two new magazine interviews posted online in the past few days, the German Freundin article and Elle UK, we continue to learn just a little bit more about Michael. However, I thought the Elle article was too PR-ry and, kinda silly - and suffering from immature "journalist" syndrome. I'm almost at the point of cringing in preparing to read a new article written by a woman because many act too silly and unprofessional (but, then again, they're in the presence of Fassbender, so... well, no, but anyway, they're still stupid!). If you read the interview, you'll know what I'm talking about. At this moment, I'm very, very, very busy with work, and some projects for grad school. I'm very stressed out and tired, so you may not see me be as active as usual. But I'll still be around, just drop me an email if you like. BTW, I'm going to see TYAS with friends Friday night - I'll post a brief update to let you know about how that screening went with a regular non-TIFF audience. TGiFassy! 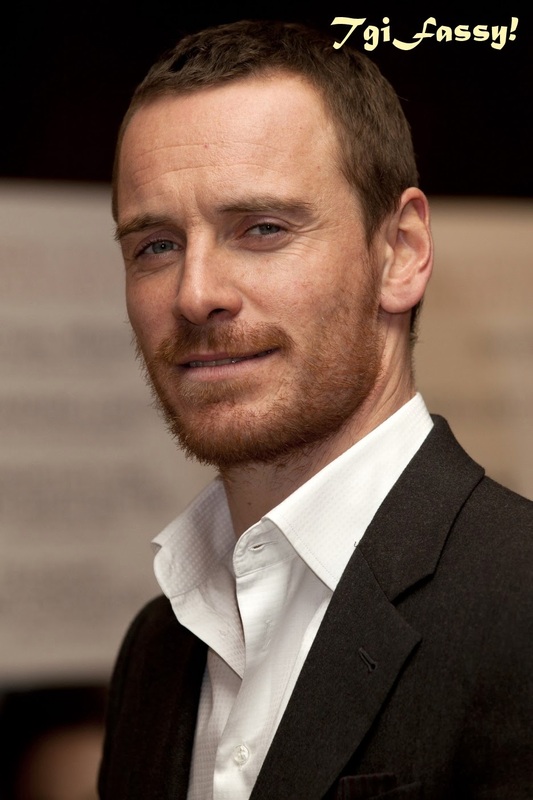 and go see a Fassbender film this weekend! Have a nice weekend and TGI Fassy!!! LOL! Reading the "interview" I feel vicarious shame. Okay it must be hard sitting in the presence of Michael, but at least try to impress him. It's simplistic. And it's a pity that if you had a chance to interview him, this is what came out of it. The audience at the sreening were a bit strange. I'm guessing they went to see it because of the publicity around it. When the film was over and the credits started...almost everybody stood up and went away. It was still dark! That's not common for film festival audience. My collegue and I were in shock. I really needed to let the film sink in and some time to recover from my emotions. Seeing the audience leave made me think "did I see an other film?" I was glad my collegue shared my feelings for the film and towards the audience. If go see The Counselor (nov 14th) she wants to accompany me. I showed her the lingerie part LOL. I showed her that so she could see the many faces of Michael (and hear his voice). So perhaps she is a new fassinator.